The mist of a giant wave explodes over a 100ft cliff at Cape Kiwanda. (Of note: this is the last photo I have the Cape Kiwanda Duckbill sandstone formation still standing). 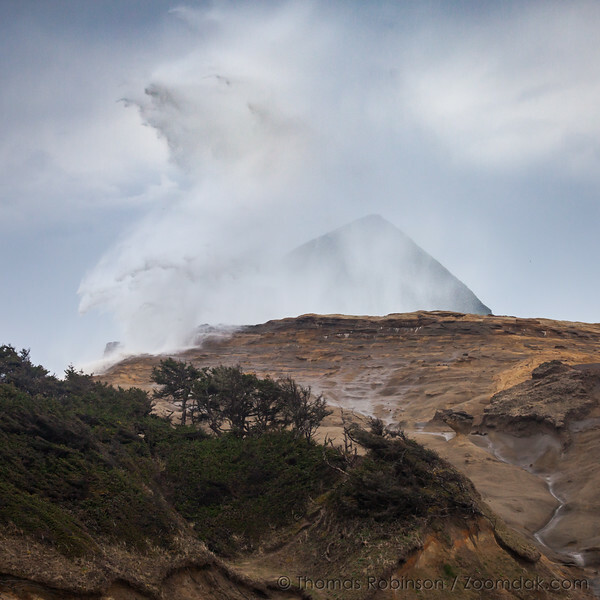 It looks like a wave is crashing over an alien hill with a pyramid in the background. Or it is old faithful on another planet.